How many origin stories for 420 have you heard? What once was deep culture is now pop culture. 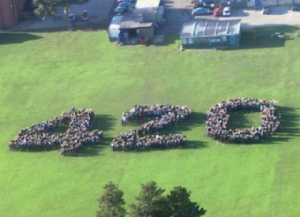 You can’t dip your toe into modern cannabis culture without encountering the term 420. It’s literally everywhere. 420 is used for cannabis brands, gear and accessory brands, social groups, clothing lines, user names and hashtags, and it echoes through the halls of dispensaries nationwide. But how many of its users know the real origin of the term? These origin stories range from the believable (police code), to the wildly impractical (Hitler’s birthday). Most of them are based on plausible coincidence, which is why they’ve proliferated so widely. But the truth is out there, and the proof to back it up. So, let’s get to the real origin story of 420. San Rafael, California - 1971. Five high-school teens who love to hangout at a wall by their school earn themselves the nickname “The Waldos.” One of these Waldos gets a tip about an abandoned cannabis plant in the nearby Point Reyes Forest. Armed with this information and a ‘treasure map’ to work from, the group decided to spend their free afternoons looking for the wild-growing cannabis. Their appointed meeting place was the Louis Pasteur statue outside their school. The appointed time? 4:20 p.m. This is where it all begins. This information and the map that came with it were supplied by a local Coast Guard member, who supposedly had planted the cannabis himself, but could no longer care for the plant. So, armed with this vague information, and a sketchy map, the Waldos gathered weekly at the statue at 4:20 and set off to find free weed. They never actually found the plant, but their adventures set off a cultural phenomenon that grew into epic proportions. They began using the term in social settings where they didn’t want eavesdroppers like parents, teachers, and squares to know what they were discussing. The term spread like wildfire in the California cannabis community. Local stoners were using it, but so were cultural icons like the Grateful Dead, who helped spread the term nationally. Two of the Waldos had close ties to the band, and the group would often hang out with them at shows where they would say “Hey, 420” as they passed around joints. 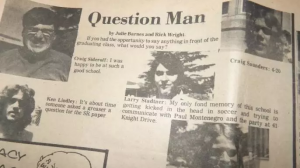 This was how 420 made its way into the Deadhead community, who followed their favorite band across the country spreading the term across the states. Steven Bloom, former editor of High Times remembers the first time he heard the term at a Grateful Dead concert in Oakland in 1990. 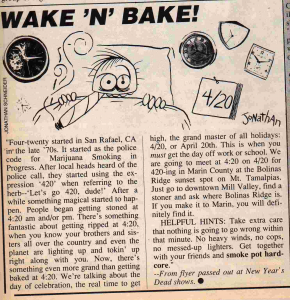 He was only a reporter for High Times when he was handed a flyer for a 420 event before the concert. You’ll notice the mention of police code as the reason for the term, showing that even back then, the term was not fully understood by those who used it. Once High Times adopted the term and began using it in their publications, the term went global. In fact, it might be the very first ‘viral’ cannabis event, uniting stoners the world over. 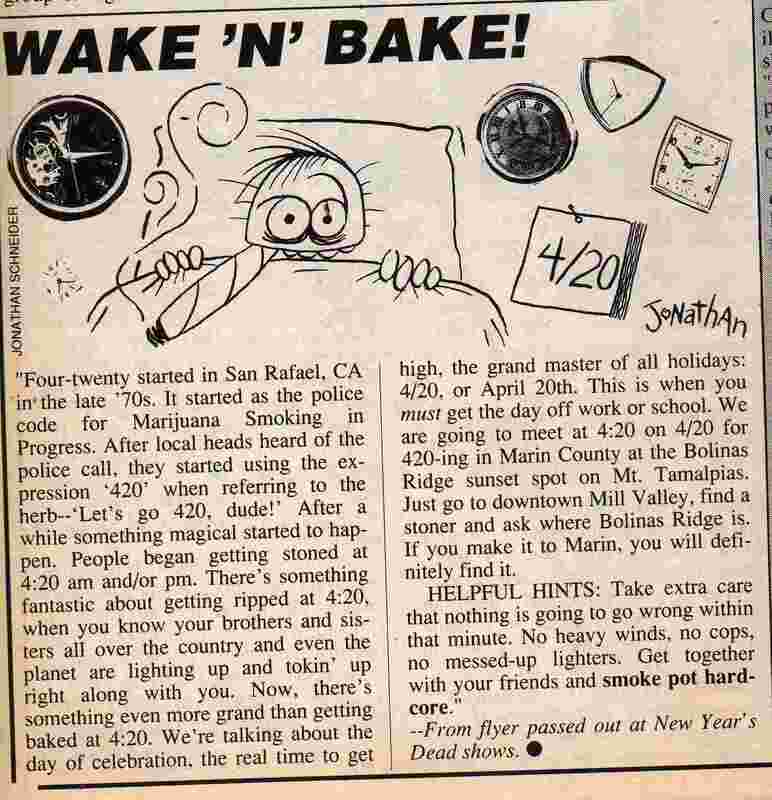 But there’s another document that precedes this flyer and verifies the Waldos origin story.Take a look at this image of the San Rafael High School newspaper, featuring a "4-20" quote from one of the original Waldos, Craig Saunders. 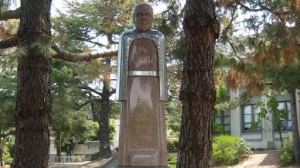 Just imagine, from five potheads in California comes one of the most recognized symbols of cannabis culture. To learn more about the Waldos and the 420 origin story, check out their website. 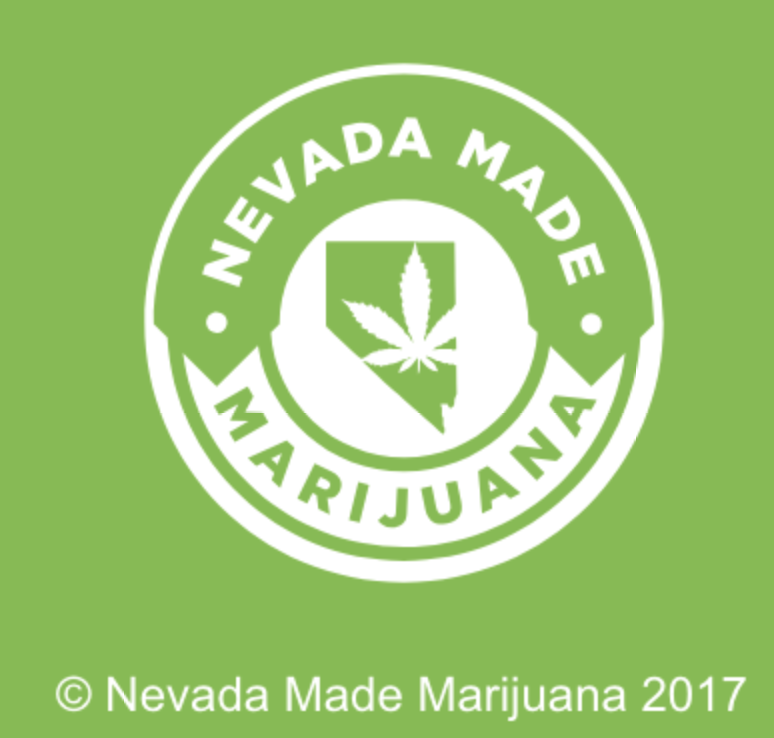 From all of us at Nevada Made Marijuana … Happy 420!! !